We need to reschedule this open house event. The flooding that hit the track last week (March 13th through the 18th) has left us in a major mess. 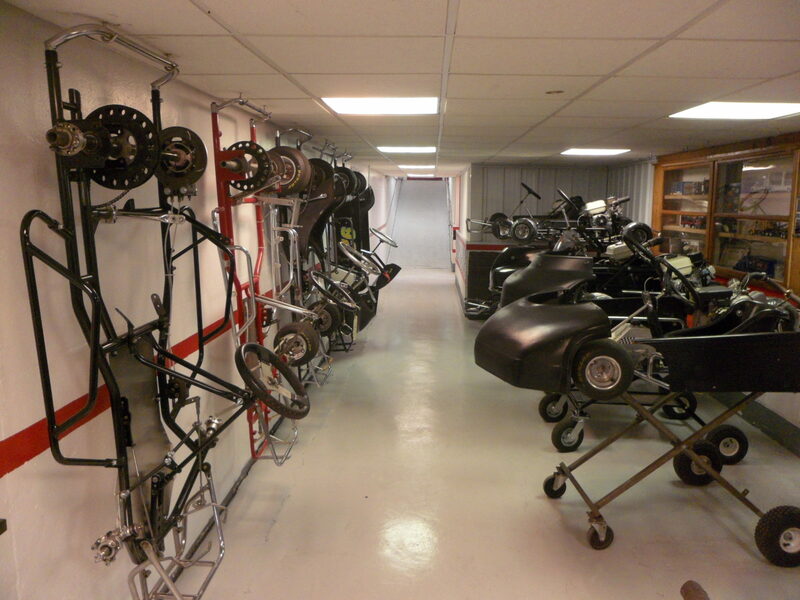 Look at this shiny picture of our show room. Now imagine it with an inch of mud and sand on the floor. We’ve got some digging out and some major cleaning up to do before we invite you all in. Stay tuned. We do this at the start of each season with our beginning karters in mind. We know a million questions exist for those just starting out and/or those who are still not yet committed to becoming karters. We’ll run our open house two days to hopefully fit everyone’s schedule. Noon to 5 PM each day is our schedule. Saturday March 23rd and Sunday March 24th are our dates. Why come to the open house? We’ll have some in store specials that may appeal to both the current karter and the new karter. But our main thrust is to meet our new or prospective racers. We will address all of your questions, show you the equipment you’ll be using, help you pick out safety gear, help you pick out the right seat, schedule the set up of your new equipment, and anything else that is needed. There may also be a chance to get you some track time if weather and schedule work out. If you haven’t been on the track or driven a go kart it is the right first step to see if this sport is for you. We may have a chance to get you on a rental kart for a test drive. On Saturday & Sunday the track will be available for rent to race groups. There could be time available for a demonstration rental, as we don’t usually sell these sessions out this early in the season. All of this is weather dependent. Still have questions about our open house? Give us a call at 608-897-2898.